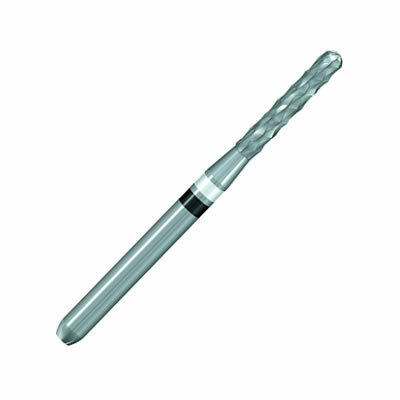 The extra-extra-long instrument features specially developed D-toothing, which allows rapid, efficient cutting of crowns and bridges made of conventional metals. Large chip spaces permit quick chip removal and prevent clogging, especially when cutting soft alloys with gold content. The instrument’s transverse-blade tip provides easy penetration into the material to be cut, and its pyramid-shaped blade design prevents blade breakouts, guarantees stability and high resistance to breakage, and ensures smooth operation with little vibration.